Add a handmade Bow to pretty it up! 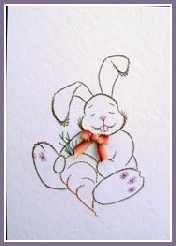 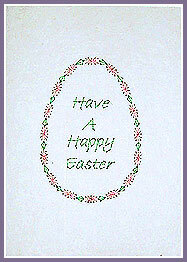 An Egg-shaped Floral Border frame with the phrase “Have A Happy Easter”. 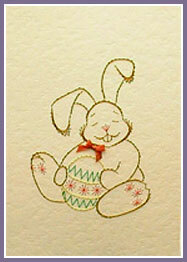 Stitched in Pink and Green Silkies.